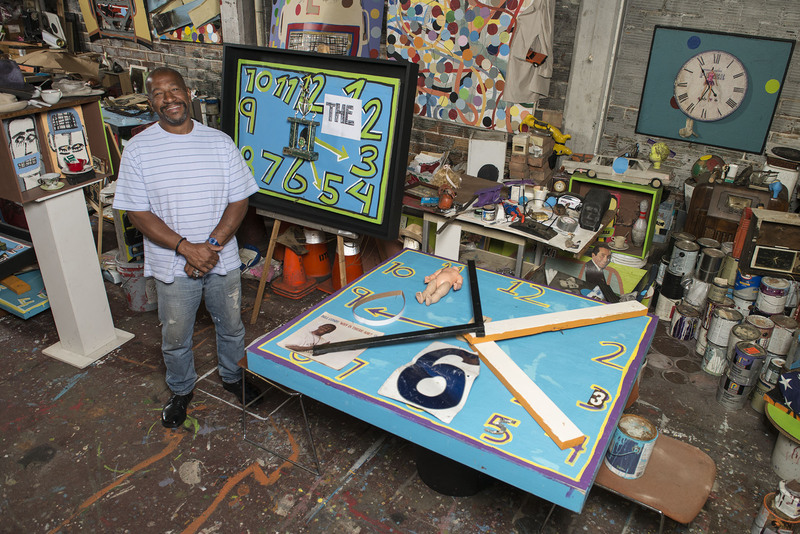 Guyton’s new work builds on his well known Heidelberg Project addressing the social and economic adversities with which Detroit has struggled for the last fifty years. 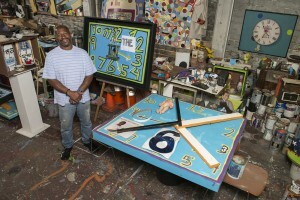 The exhibit marks a key moment of transition for Guyton as he shifts his attention from the Heidelberg Project, to which he has devoted the last thirty years, to the studio. What Time Is It? Tyree Guyton, New Work presents fifteen mixed-media wall pieces and a floor installation that reexamine some of the themes the artist has grappled with for over thirty years—the passage of time, adapting to change, the plight of the poor and disenfranchised, abuses of political power, race in America, and the paradoxes of organized religion. Some of Guyton’s iconic images, in particular his whimsical clocks and his assemblages of shoes, are given new significance as they are deployed to interrogate the nature of time and the challenges facing humanity as it moves through time. The exhibition was curated by Bradley L. Taylor and is on display at GalleryDAAS in 4701 Haven Hall. For more details, click here.